The Law Library Journal Editorial Board helps shape, solicit, and curate the content of Law Library Journal. The Law Library Journal Editorial Board serves as a group of advisors to the Law Library Journal editor to help shape content for the journal based on the professional needs of AALL members. 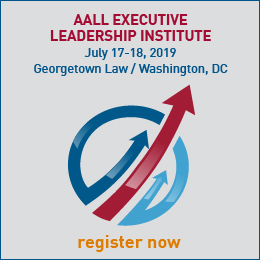 The goal is to develop, identify, and publish articles about current and emerging trends and practices in the profession that will support AALL members in their work as legal information professionals. Content for the Journal will continue to have a focus on research, both contemporary and historical. Members of the Law Library Journal Editorial Board meet in person once a year at the AALL Annual Meeting. They are also required to take part in monthly conference calls to discuss potential submissions and content for upcoming issues of Law Library Journal. 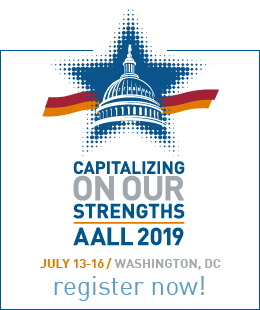 Members of the board reflect the diversity of AALL members in terms of library type, and areas of subject interest, including age, gender, and minority status. Qualified candidates should have strong professional networks, expertise in one or more content areas and be comfortable reaching out to potential authors for content. Experience in writing, editing, and publication production is also considered. Members of the Law Library Journal Editorial Board serve for a two-year term. The Law Library Journal Editorial Board consists of a chair (editor), six members, and a staff liaison. The Law Library Journal Editorial Board works with the Law Library Journal editor and AALL staff.